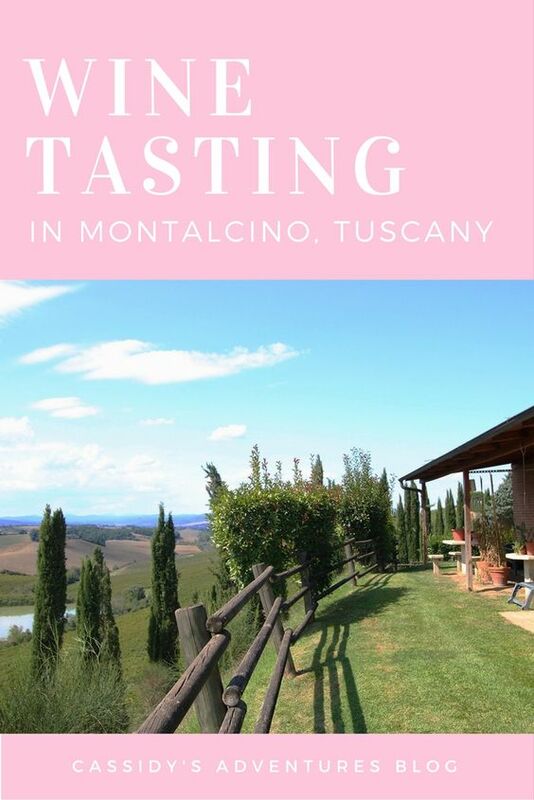 Montalcino is a village in the Val d'Orcia Nature Park in Tuscany, Italy, just 68 miles from Florence. The closest train station is called Buonconvento. From there, it is possible to grab a bus to the village for 3 euros or less. Not much has changed there since the 1500’s. It has the same fortress, the same landscape, and the same streets. My day started with an early morning bus ride through the hills of Lazio, Umbria, and Tuscany. Unfortunately, I have severe issues with carsickness, so the rolling hills of Tuscany certainly did not help that. After cleaning myself up, I was given a tour through the Brunello Wine Cellars at Caparzo Srl Societa Agricola. I learned all about the history of the wine and how it is made. Lunch was in the neighboring building of the same agriturismo. First, the waitress came around to pour the full bodied Brunello di Montalcino wine, one of the most famous in all the world. It was first invented in 1888 by Ferruccio Biondi Santi. ​I don't, under any circumstances, consider myself a wine connoisseur, but I do occasionally enjoy a glass. Honestly, I can't taste much of a difference between the cheap stuff and the high quality wine. Sorry. She then served a large plate of bruschetta (by the way, this is pronounced broo-skett-uh) with tomatoes and chicken liver. While I had a few qualms about eating liver for the first time, I eventually tried it and couldn’t believe how similar it tasted to any other meat product, although more similar to ground beef. Thank goodness. For dessert, I reached for a peach among the huge pile of fruit on a nearby table. After that, I tried a bite of crostata (a rustic Italian pie filled with jelly) and washed it down with the white dessert wine, called Moscato Vendemmia Tardiva. This one, naturally was my favorite due to its sweetness. Then we walked around outside until the food was able to digest a little. During this time, I prayed that I wouldn't get carsick again. Next I boarded a bus to the sleepy little medieval village of Montalcino. I loved the feeling of quaintness that came with being in a village perched on a hill. It was so small, yet this is what makes it so beautiful - the little corners with flowers, the history, the quiet. Inside the fortress (which was built in 1361 to defend the territory), there was a small harvest festival called Beekeepers Week. I sampled bruschetta with olive oil and truffle, and some type of really sweet pistachio paste. They were selling tons of honey based natural soaps, aloe, nutritious bee pollen, strawberry honey, honey candles, wooden items, paneforte, and candy galore. I would have loved to buy one of each, but I must remind myself that I live out of a suitcase and cannot own too many things. The stairwell was decorated with many beautiful works of art hanging on the walls. They seemed much more modern to the contrasting stone walls. From the top of the fortress, it is possible to see until the horizon. I went to September and it was the perfect weather, and just far enough away from that summer that tourists had left yet all the stores were still open. Have you ever been to Tuscany? What time of year did you visit? I have just added this trip to my bucket list. Thanks for sharing. I like wine, but a warm baguette with a home made jam or preserves and some cheese - priceless! That store on your pictures would be my first stop :) Great post and such lovely pictures of the views. That sounds delicious, Jes. Thank you for reading my blog :) I love little family run Italian shops as well. Tuscany is one place I deeply want to go visit one day (all thanks to that Diane Lane movie haha!). Beautiful post And great photos. Thank you!! <3 Tuscany is a must! I love your blog as well! 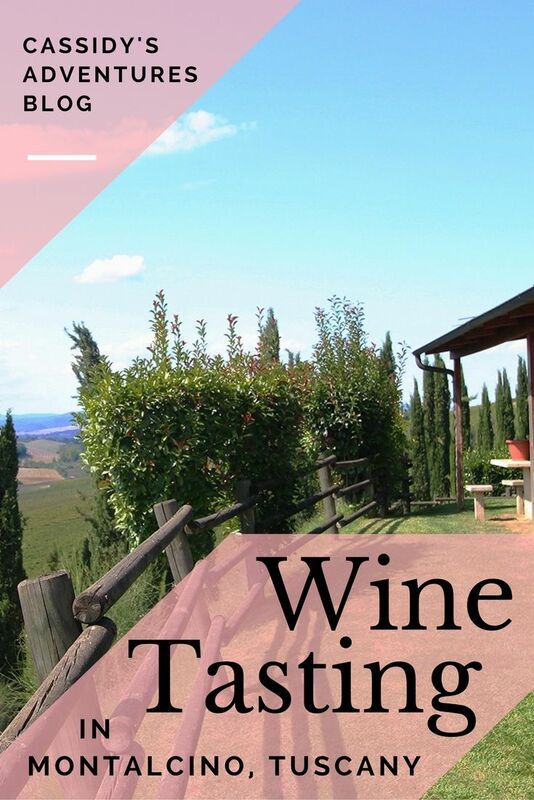 Love how detailed your post is and coveres so much information not just limiting to the wine tasting. The region looks amazing through your photos and the I'm sure the wine was amazing. Sorry to hear about your car sickness though. The baguettes with cheese and jam is just the kind of thing I love. Reading about it made me hungry. Thank you for this comment. I love wine tastings, but I also love the experience that goes along with it - the views, the manager of the place, and of course, the baguettes and cheese! I've never been to Tuscany - I've never been out of the US, actually! But I do want to travel very much, once my children are grown and I'm more free to explore the world. I've always wanted to visit Tuscany it looks absolutely beautiful! !